The building of St Wilfrid's church, Kennington Park took place in 1914. But the parish was founded in 1904. From about 1845 the area west of the Walworth Road had developed as housing for a mixed population. There was a need to care spiritually for the Catholics among them and so a Mission was established in the area known then as South Walworth or Newington and supplied from St George's Cathedral. At first a temporary chapel was used and Mass was first offered here on Rosary Sunday, 2nd. October 1904, by Bishop Amigo and the first Baptism was administered in January 1905. In 1905 the first Parish Priest could be appointed and in the same year a Miss Frances Ellis purchased the land on which the church is now built and gave it to the Diocese of Southwark. On this land was a small stable building which opened as the chapel for the parish on 3rd. November 1905. Miss Ellis was. in fact, the benefactress of about 20 Catholic churches in South London including St Bede s Clapham Park and St. Gertrude's Bermondsey South; all like St Wilfrid's were dedicated to English Saints. The stable, converted to chapel, still remains as the lower sacristy of today's church. Father George Palmer, first parish priest, fervently prayed, however, for a larger and more worthy building. To this end he asked the congregation to join in the devotion of Seven Sundays to Saint Joseph and in answer to their prayers a lawyer from Wimbledon, Mr Henry Smail and his wife made this possible by the gift of £5,000 in 1914. The building was completed in eighteen months and the first Mass celebrated on Sunday 7th November 1915. It was described in an Official Guide for Southwark as "a pleasing Late Gothic composition in red brick". The first visitation of the parish took place in November 1915. During Father Palmer’s time the two stone altars were also donated by the Smail family. The Lady altar was erected in memory of Henry Smail who died in 1915. Father Palmer was succeeded by Father George Boniface (assisted by Father Walter Stone) from 1920 to 1923 and then by Father Leon Bourdelot (assisted by his brother Father Edgar, until his death in 1945) from 1923 until 1947. At the beginning of Fr Boniface's time in 1920 the Mission at St Wilfrid's became officially a Parish and during his time the very fine Stations of the Cross were erected. In 1929 an organ was installed in memory of Father Palmer and a statue of Saint Joseph placed in a niche of the Church tower. The records show numbers attending Sunday Mass rising from around four hundred before the First World War to six hundred by the mid 1920s. Then came the Second World War in 1939 with a great loss of attendance in consequence. "I left the parish after a most encouraging visitation with a sense that great things will be accomplished, with God's help, in this parish. The people clung to their church in very dismal times and they are a good and fervent people." 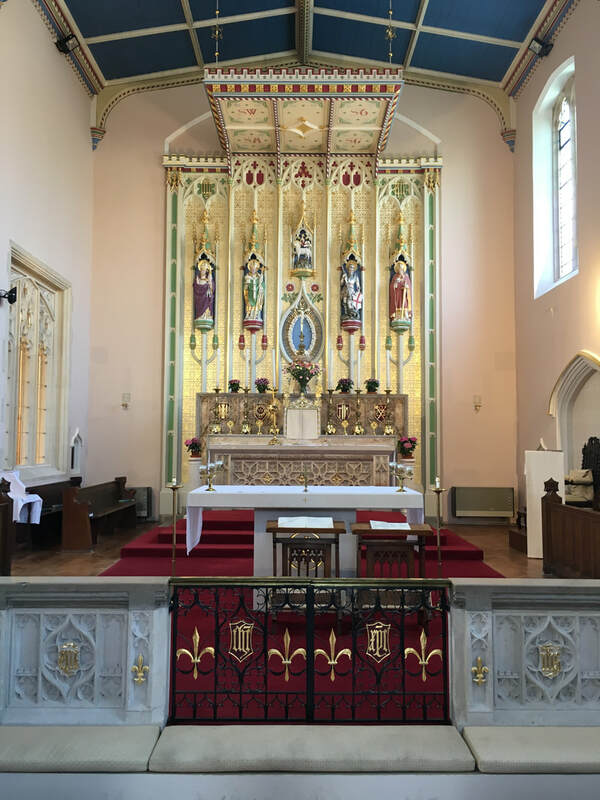 Further extensive repairs and renovations were made to the church from 1957 to 1959 thanks to the efforts and sacrifices of the people of Saint Wilfrid's as well as the great generosity of their Anglican and other non-Catholic neighbours. 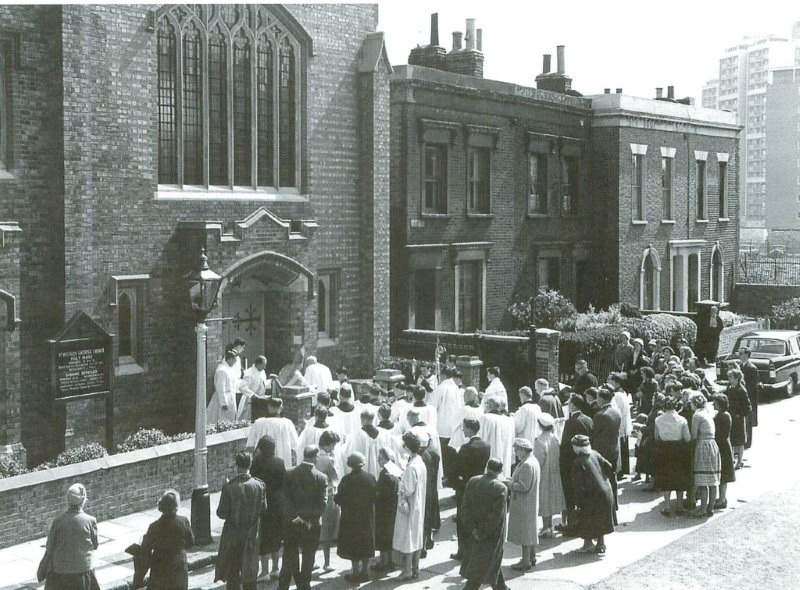 The Church was solemnly consecrated by Bishop Cowderoy on 14th.June 1960.